Faculty of Agriculture UGM established a consortium with Universitas Syiah Kuala, Universitas Andalas, Universitas Udayana Ghent University, Belgium, to do research in using bamboo as biochar. Biochar is active charcoal use to improve soil and reduce agricultural environmental pollution. It is also potential to maintain soil fertility. The cooperation that lasts for three years started this year with the Flemish Interuniversity Council Belgium and promoter Prof. Stefaan De Neve from Ghent University and Dr. Benito Heru Purwanto from UGM. Heru Purwanto said the research had started since November 2018 by inviting representatives from five universities. In March a discussion, workshop and field visit were made at Sidorejo village in Ngablak, Magelang. “Alongside the event we held a discussion that was attended by an internal tim project and doctoral students conducting biochar research at UGM,” said Heru in a release sent on Wednesday (20/3). 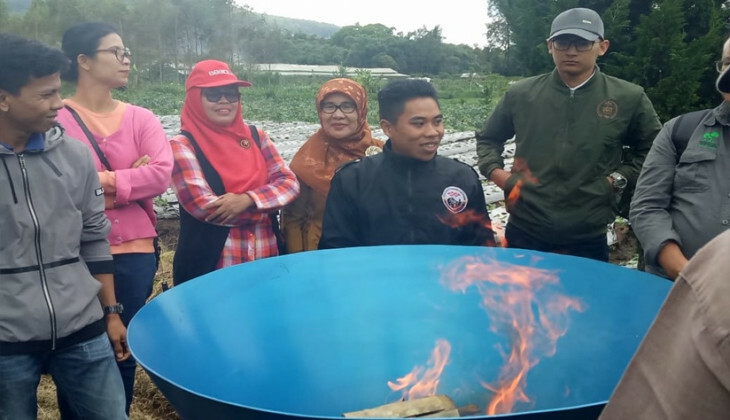 Heru explained although still preliminary, the biochar research cooperated with researchers from research agencies in the country as well as biochar experts from Balai Penelitian Tanah Bogor and Balai Penelitian Tanaman Rawa South Kalimantan. “We also invited farmer groups to do biochar making practices,” he said.